Utah Jazz point guard Trey Burke (3) defends against Cleveland Cavaliers point guard Kyrie Irving (2) during the first half at EnergySolutions Arena. With a four-game road trip against some of their top Western Conference competition looming, the Portland Trail Blazers will have to be careful not to look past their next opponent. The way the new-look Cleveland Cavaliers have played lately, that would be a huge mistake. The Trail Blazers seek a third straight win Wednesday night when they face the Cavaliers in their final home game before that challenging trek. Portland (28-9) has bounced back from consecutive losses with two straight wins to move back atop the Northwest Division. After rallying from a six-point halftime deficit for a 110-94 victory over Orlando last Wednesday, the Blazers again came from behind to beat Boston 112-104 on Saturday. That has been one of the strengths of this Portland team which outscored those two opponents by a combined 32 points in the second half to improve to 13-7 when trailing at the break. "I like being a second-half team. If I had my choice, I’d rather be a second-half team," coach Terry Stotts said following the victory over the Celtics. "But we’re still a work in progress. There’s room for improvement. I’ve said that from the beginning. We had a good start of the season but we aren’t a finished product. We’ve got to continue to incrementally grow – basketball-wise and everything else." With Damian Lillard totaling only 26 points on 9 of 27 from the field the past two games, LaMarcus Aldridge has helped pick up the slack. He’s averaged 28.5 points and 11.0 rebounds in the two wins, shooting 60.0 percent from the field and 90.0 percent from the free throw line. Portland opens its trip at San Antonio on Friday and will also play Dallas, Houston and Oklahoma City before returning home against Denver on Jan. 23. Before that, the Blazers face Cleveland (14-24) for the second time in less than a month. Lillard scored 36 points and sank a long 3-pointer at the buzzer to give Portland a 119-116 victory Dec. 17, its fifth win in the last six meetings. Since then, the Cavaliers have acquired two-time All-Star forward Luol Deng in a Jan. 7 trade with Chicago. Deng is averaging 16.3 points in his first three games with his new team, helping Cleveland win twice. Deng matched his second-highest total of the season with 27 points on 9-of-15 shooting and Dion Waiters scored 13 of his 17 in the fourth quarter in a 120-118 win over the Los Angeles Lakers on Tuesday. Deng went 5 of 5 from 3-point range as part of the team’s blistering 13-for-17 effort from long distance. The Cavaliers have averaged 104.3 points in three games with Deng after scoring 80.8 in the previous four contests. 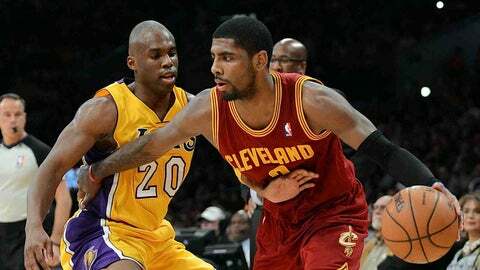 "There’s a lot more optimism and a lot more talent now that Luol has been added to the mix," said Kyrie Irving, who had 13 points. "He’s a great addition, and to get him on this road trip was big for us." It was only the fourth win in 20 road games this season for the Cavaliers, who have won four of their last six visits to Portland. 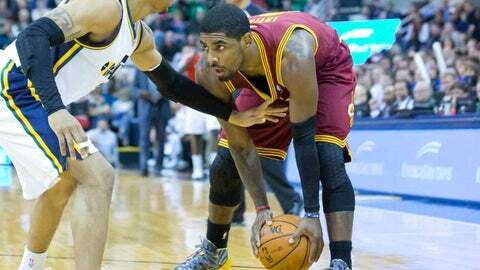 Irving had 31 points in a 93-88 victory there Jan. 16, 2013, as Aldridge and Lillard were held to a combined 28.